It’s cold out there, right? 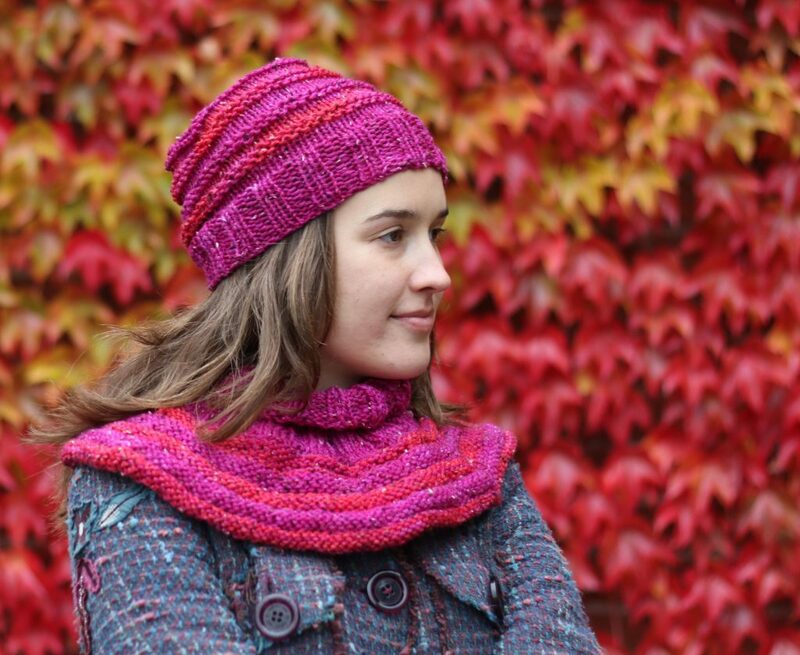 What do you need more than a cozy, lovely, snuggly cowl? The pattern for it, maybe? 🙂 I’m sure your stash will yield some lovely, thick yarns that just waited for this one! For this pattern I used some lovely, hand dyed Donegal Aran yarn from Wolleverliebt. I really loved knitting with this yarn. 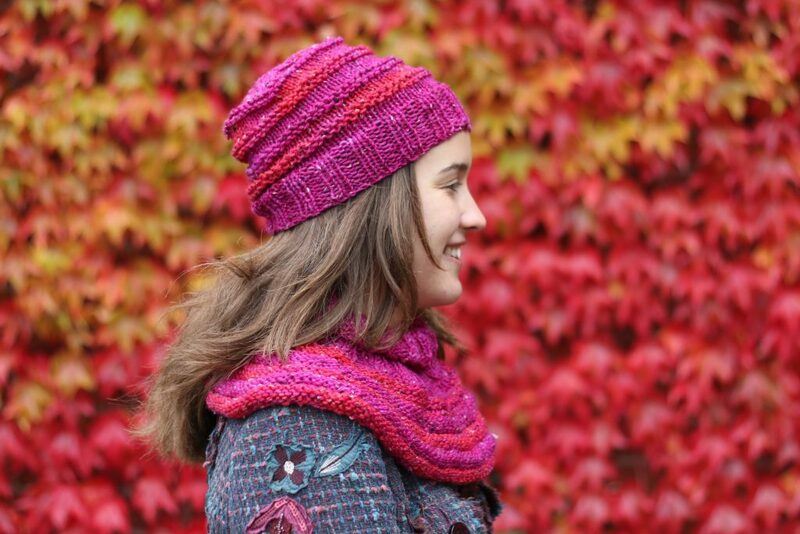 Not only does it knit up quickly and has a great feel, but also the colours are super vibrant and unique! The pattern is made for this yarn and I really recommend you trying it out. 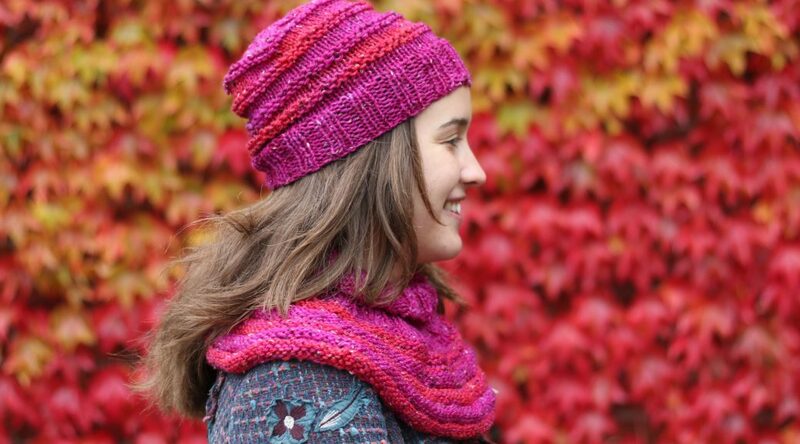 But you can also knit the neck-warmer in any yarn quality and weight you like. 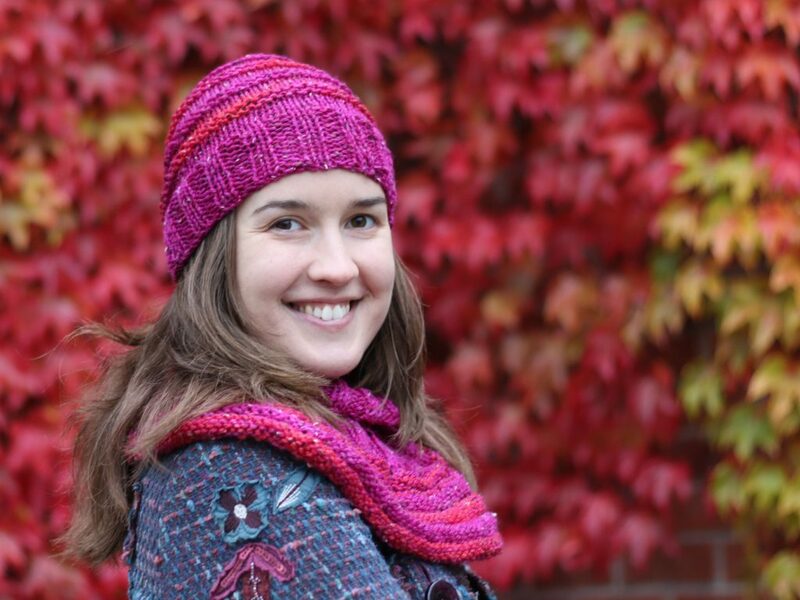 This cozy neck-warmer for kids and adults is a fast and very simple knit and perfect for the cold days of the year. It‘s the perfect three hour project that you can snuggle into right away. Kids and adult sizes are included. Tapestry needle for sewing in ends. Thank you to my wonderful test knitters Binle, Sinessi, Franzi55, Sylie, to Suzieqtee for proof reading, and to my lovely model Vivika! And Thank you all for supporting good causes by purchasing this pattern or donating finished cowls to charity!